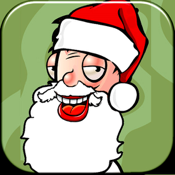 Dancing Santa is a fun festive app for your iPad. Simply pick any song from your iPod and watch Santa Claus dance to the music. Great fun for parties over the holiday.